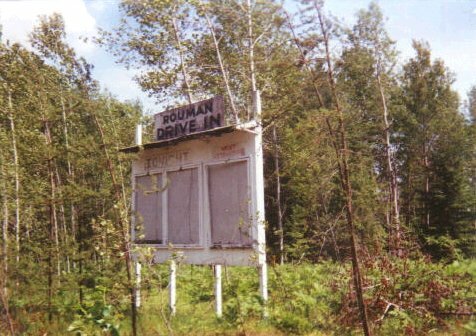 The Rouman Drive-in is located on the east side of Rhinelander on Shore Drive. 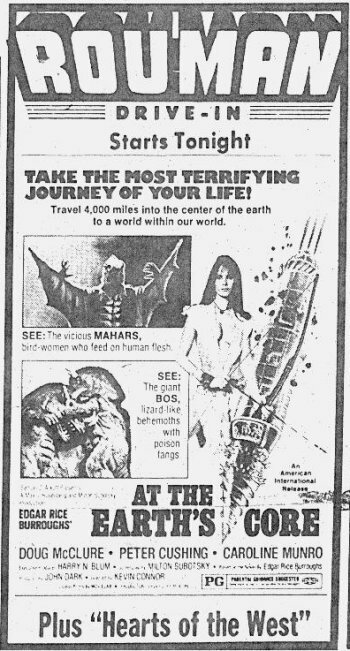 The theater is still standing, but has been closed since 1987 or 1988. The screen is still up, but falling apart. The projection building is still there and the fence is mostly in place around the theater. Next to the entrance road is the theater's marquis that used to show the current attractions and the coming features. 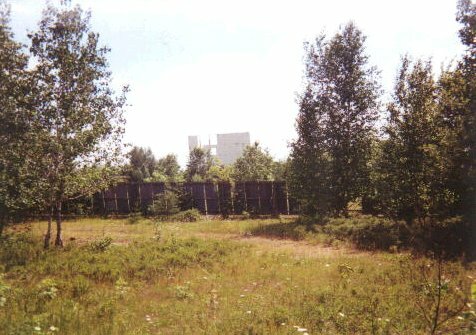 The grounds are overgrown with trees and bushes. The drive-in was closed due to lack of revenue. The marquis by the road. 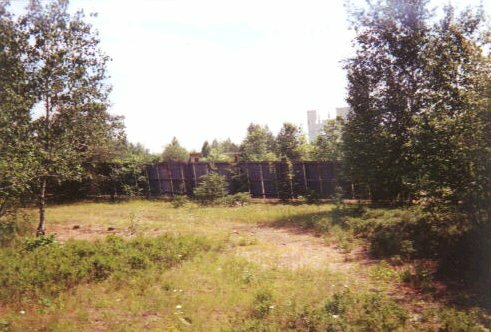 The top of the projection / concession building just visible over the fence in the trees. The screen is still standing but missing sections of panels.